With our expertly designed apps, we make it clear why Android is the world’s number one mobile platform. We’ve spent quite a few years on bringing new Android apps to the market for startups and enterprises alike. Now this accumulated expertise is here to serve your project well, too. We help you reach out to the world’s biggest mobile userbase with truly competitive apps. Entertaining, educational, or lifestyle ones, we nail them all. Enabling enterprise mobility on Android, we add one more layer of productivity to your core business processes, corporate e-learning programs and field work. We build multi-platform gaming experiences for smartphones and consoles. From stunning graphics to powerful gaming engines, we make sure your discerning users just love it. We contribute to your omnichannel strategy, where your Android app becomes its vital extension. This way, we help you serve your customers wherever they are and drive mobile engagement. Recognizing the power of mobile-first media for your business, we offer custom apps supporting rich visual, audio and video content. This is ideal for social networking, smart TV and streaming apps. When your app needs to be stronger on the data side, we deploy and integrate cloud backends, ensuring elastic scalability and enhanced data security. This opens up big data and IoT capabilities, where you can count on us too. Adding Android to your range of supported platforms is easy with our mobile porting skills. 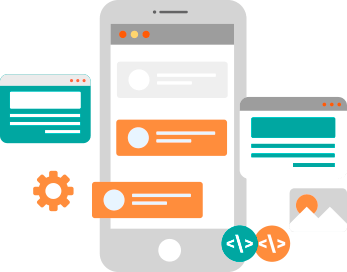 We run two-way porting of Android mobile apps, making use of code reusability and reducing your cost of ownership. As part of our Android development firm’s full offering, we stay to provide support and maintenance after the app release to ensure security patches and cool new updates are in place for your users. What makes Mitrix your Android development company of choice? We strategize and implement mobile apps holistically, locating them in the universe of your internal tech infrastructure and external tools. We design our mobile solutions to run effortlessly across devices. We’ve gained the upper hand in Android TV, Android Auto, and Wear OS development to bring up truly connected experiences for your users. For us, it’s important that your Android apps communicate error-free with your internal systems and any other connected tech. Be it smart watches or your equipment dashboard, we can marry all the devices and platforms for ultimate interoperability. We build each app with an eye on industry standards such as OWASP and Google Play requirements. On top of that, we test rigorously to wipe away all cybersecurity threats. As the first easy step, just drop us a line explaining your idea. Next, we let you choose your Android development team through CV reviews and interviews. Now we outline the project scope, budget and timeline, making sure everyone’s on the same page.